Top Ten Awesome Trends in 2012 (#10-6). Blogging Dead: Best Ten Things about This Week’s Walking Dead. Blogging Dead: Best 10 Things about This Week’s Walking Dead. “Nobody’s gonna put me in a balloon again!”: A Thank You Letter to “Killer Klowns from Outer Space”. Dave Eggers’s many talents include, writing scripts for “Where the Wild Things Are” and “Away We Go”, creating some of the best contemporary books like What is the What? and A Heartbreaking Work of Staggering Genius, plus starting McSweeney’s, a much acclaimed literary magazine. As a huge fan (somewhat of fangirl) of Eggers, I have seen his work change from introspective, humorous memoirs and short stories to serious novels and stories that tackle grave global issues. In A Hologram for the King, a depressed and desperate ex-Schwinn employee, Alan Clay, goes to Saudi Arabia to sell IT for Reliant, as a last-ditch effort to redeem himself from financial ruin. The story concentrates on Alan’s inability to progress. Alan is awkward, impotent, and delusional about his middle-aged life. Alan can’t get a hold of the king, so he can show him the hologram presentation that will surely grant Reliant an IT contract. Because he cannot meet the king, Alan explores Saudi Arabia, its culture, its people, its paradoxes. Alan meets many interesting characters that encourage him to discover new aspects of his inner workings. Alan sees Saudi Arabia as place that can not only change his finances but alter his life into something meaningful­—a life his daughter, Kit, might be proud of seeing. In many ways, the country does change him but not before Alan’s inner life unravels before the reader. At first, I enjoyed reading a story that that seemed so far from my own. Of course, the writing was beautiful and there were some great moments where you really see the illusion of business reflected in the illusion Alan has created for himself (deep stuff!). Those moments of introspection and intelligence about globalization and the role of the individual in business were wonderful. But I felt like those scenes weren’t worth all the pages of slow dialog and depressing stream of consciousness. You will want to shake and yell at Alan; he is frustrating and hopeless because he can’t see past the “hologram” of his life and of his business. You might say Alan is the modern day Willy Loman. With that said, I found myself feeling bored with a lot of the inner monologues and explanations of Alan’s previous experiences where as I still really enjoy Death of a Salesman. 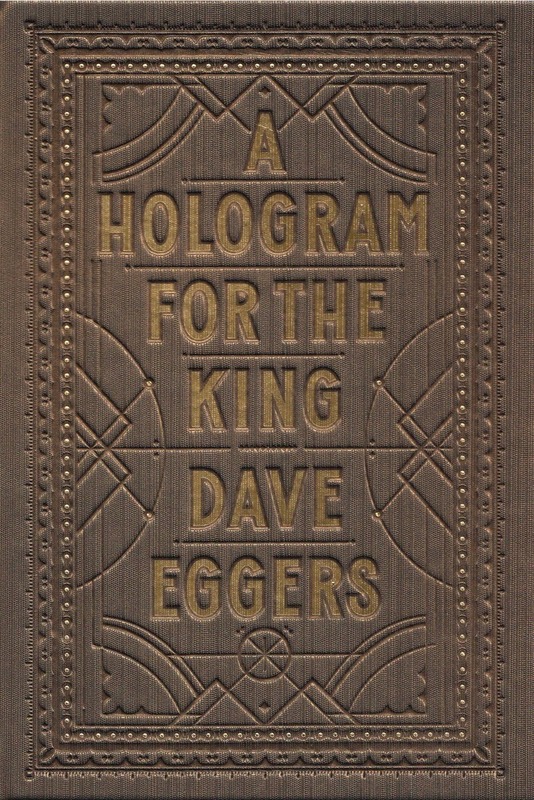 This novel shows Eggers is departing from his original narrative voice and trying to tackle global issues, using a more serious voice. I like when Eggers brings more humor and irony in his writing. I feel like that’s where he is at his best and is better able to tackle serious issues. Although I appreciated part of AHFTK, I can’t say I would want to read it again. This review doesn’t mean I won’t be eagerly awaiting Eggers’s next novel. I have lots of hope I’ll fall in love with another one of his novels fairly soon. Maybe my feelings are just a hologram? British Invasion on Instant Queue: Why You Must Watch Sherlock and Spaced. I totally voted in this poll. Do you agree? What are your fav young adult novels?